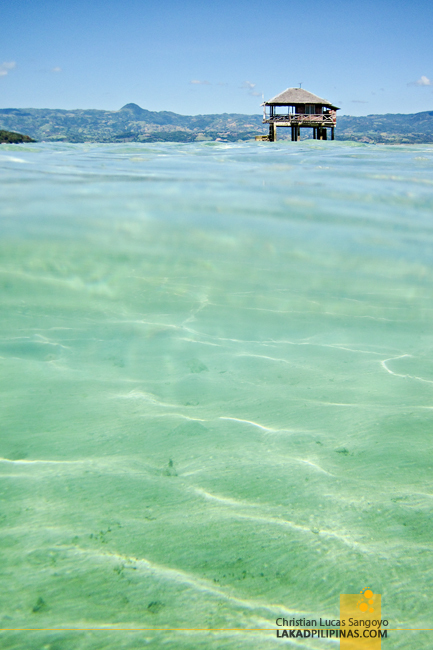 The water rippled as the wind blew over the sea making picture-perfect patterns across the shallow shoal. 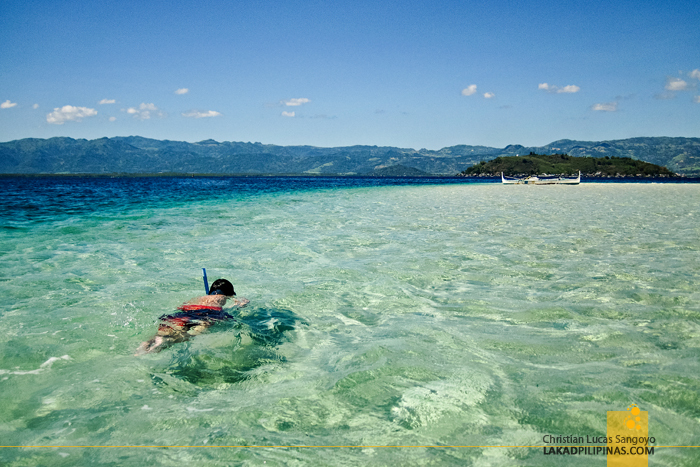 Beneath us is the creamy white sand of the famous Manjuyod Sandbar. From the viewing deck surrounding one of the elevated thatched huts, we surveyed the vista unfolding before our eyes, it was nothing short of breathtaking. I remember the first time I booked a flight to Dumaguete City with no inkling as to what it holds. I quickly googled the places to see in the area and the first thing that caught my attention were the beach huts, seemingly standing like sentinels in the middle of the sea. The Manjuyod Sandbar. I knew I was in for a treat. 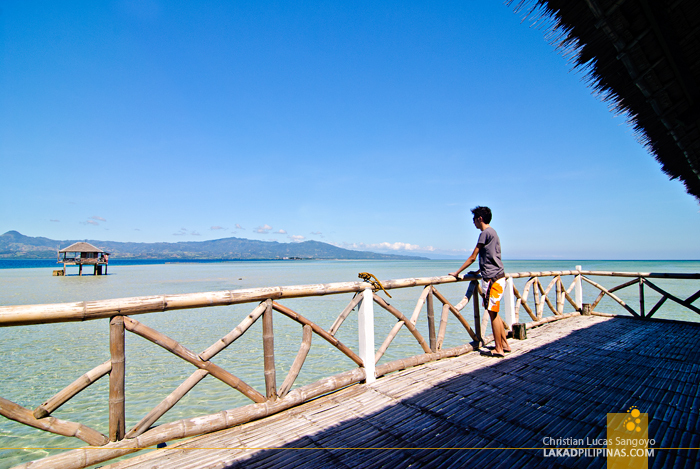 Sadly, I wasn’t able to visit the sandbar back then since our trip centered on Siquijor. We did spend some time in Dumaguete, but it was only for a day and Manjuyod seemed too far for that span of time. It was an unexpected surprise that the Manjuyod Sandbar was included in our Negros Oriental tour prepared by the guys at Sta. Monica Beach Club. 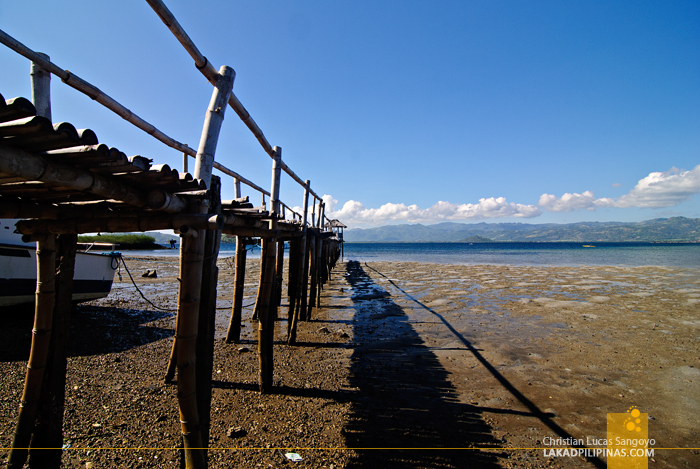 From the city, it took almost two hours to reach the small bamboo jetty at Manjuyod where the jump-off for the sandbar is located. Our outrigger boat reached paradise in less than fifteen minutes. 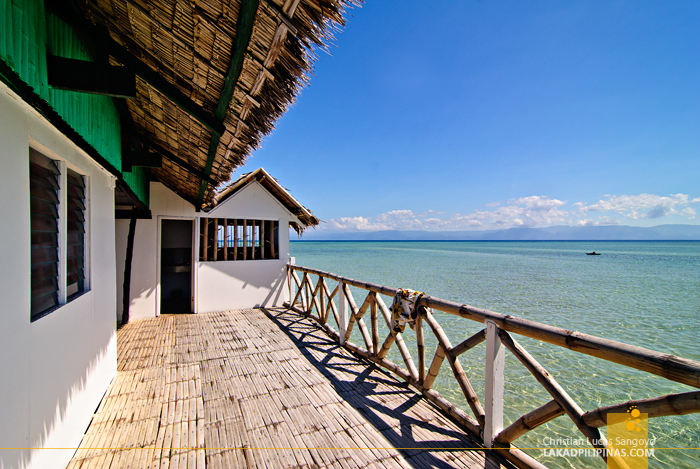 Everyone was excited as the first of the sea huts emerged into view as the water sparkled like fluid crystals under the hot midday sun. We have the islet to ourselves; there was absolutely no one in sight. Bags and packed lunch were quickly laid down at one of the pillared huts; we’re making it our home base for the day. 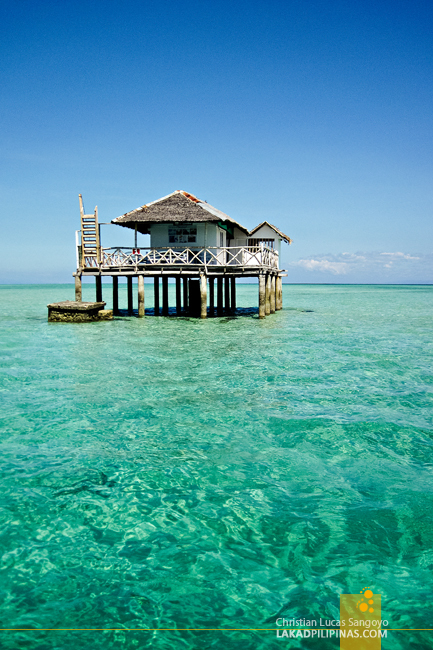 Although we’d only be spending half a day at the Manjuyod Sandbar, guests are allowed to stay overnight at the cottages. 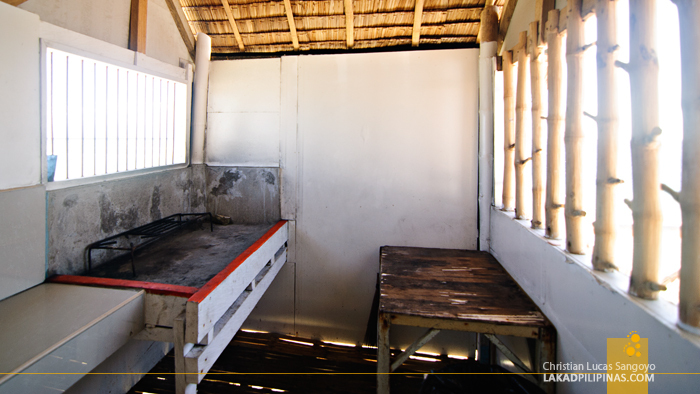 The rooms are spacious enough for a group of friends and there’s a kitchen with an open pit where one can cook using charcoals—which you have to bring with you by the way. The amenities are very basic but worry not, a toilet and bath is available for your convenience. 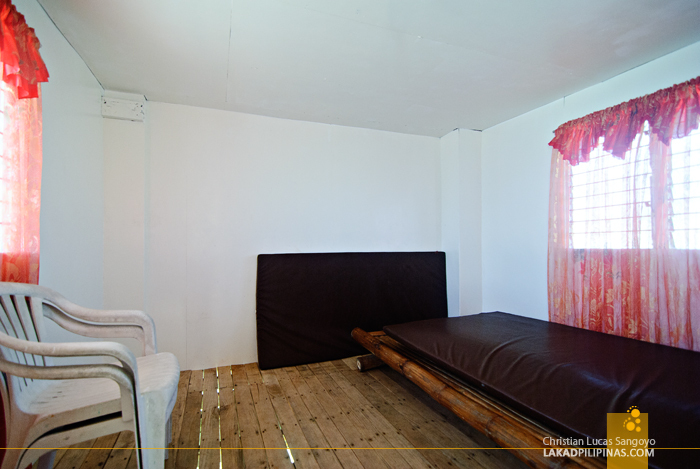 Note that although the rooms are fitted with light bulbs, charging of gadgets are not allowed since electricity is very limited, it’s sourced from the solar panels installed above the huts. I once dreamed of staying here for a night. Well, that was before I read a full account of how things went for those who did stay at the Manjuyod Sandbar overnight. Not that I’m dissuading you—with a group of friends, yes—but staying solo for the night, probably not a good idea unless you want to scare yourself sh*tless. The sea was quickly engulfing the sandbar as we went down. The tide was coming in but we were still able to wade through with our cameras. Where once was fine sand, now was knee-deep sea water. Kids swimming along happily reported seeing fishes below. It made me so envious that I didn’t bring my snorkel and mask with me. Although the water’s pretty shallow along the sandbar, the seafloor drops very very quickly along its edges; so a bit of caution to where you’re swimming. In less than an hour, the entire Manjuyod Sandbar is underwater; the creamy sand has now transformed into turquoise green waters. Touristy pictures were taken, lunch was handed out and benches were made beds for siestas. We let the hours pass. We were in paradise. Address: Brgy. Campuyo, Manjuyod, Negros OrientalGPS Coordinates Map: 9° 36' 50.68", 123° 9' 55.92"
Aww that's too bad! Punta rin kayo ng Siquijor? Wonderful beach and sunny photos... reminds a lot of memories about Summer. We've been there with a couple of friends. We stayed in Bais City for almost 5days and the adventures are endless. 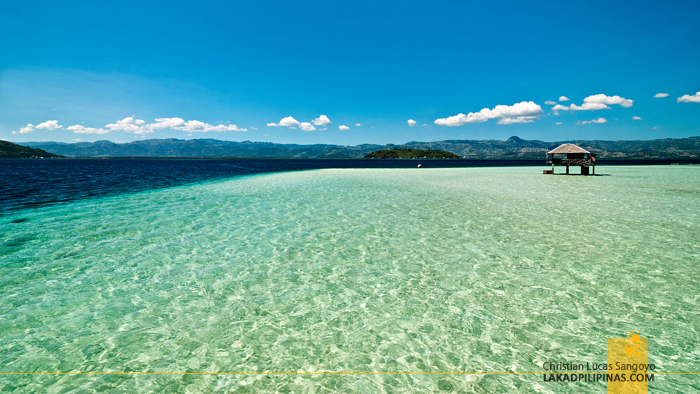 Good thing that we have a friend who lives on an island near Manjuyod White Sandbar. We were also able to spot a group of dolphins while strolling the picturesque sea. Oh my. Sobrang haba pa ata kapag ikinuwento ko kung paano kami na-stranded sa gitna ng dagat. But fear not. It was, nonetheless, a very exciting and adventurous experience for us. may we know what cottage number you stayed at? thank God he never failed us, see you manjuyod on August 6, 2016 after so many weeks of searching and reading blogs how to get there and avail cottage finally it was all worth it. Hi Jhilon, did you contact the Bais or the Manjuyod tourism office? I think they're having a dispute as to who controls the tourism on the sandbar. do they accept joiners ? I mean yung sumasali lng sa isang group kasi mag is lang po? Hi Summer Jade, I guess you have to coordinate with the tourism office for that or the hotel you're staying in. Hi! Just want to ask the best time to visit Manjuyod? I mean to appreciate the sandbar sans water? Thanks! 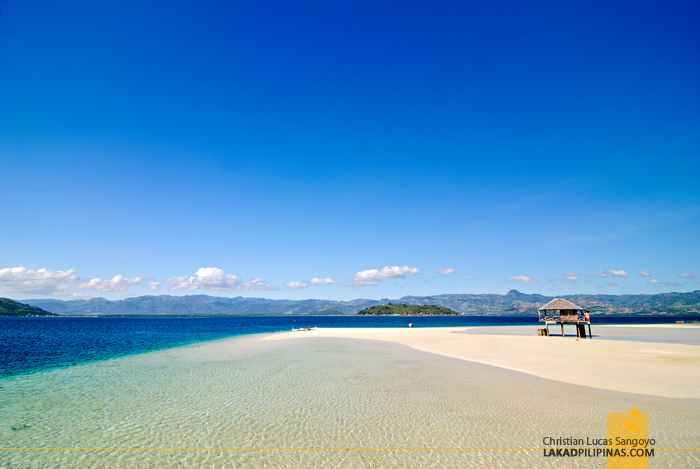 Hi, the best time in visiting the Manjuyod Sandbar differs depending on the tides. To be sure, please contact the Bais or Manjuyod tourism offices. hello, may bayad po ba yung mga cottages if half day use lng po ? 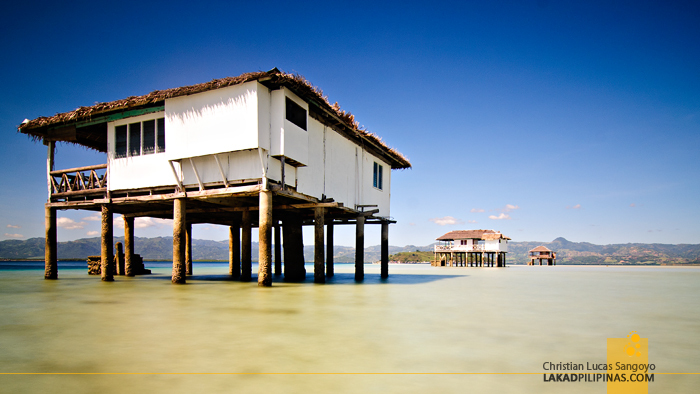 How do you stay in one of the huts on the wooden stilts? Can you find them on tourist websites? How much per night etc?